If you find yourself on a London street in the early hours of the morning, you’d come across a sight that many people haven’t seen in years. Milkmen going from house to house, delivering fresh dairy products in glass bottles to families just waking up from their night’s sleep. Some would have thought that this tradition was just forgotten to the years, but younger generations are bringing it back in the hope to try and better take care of the world we live in. The start of the year saw a surge of new, younger customers looking for different options when it comes to their dairy products. 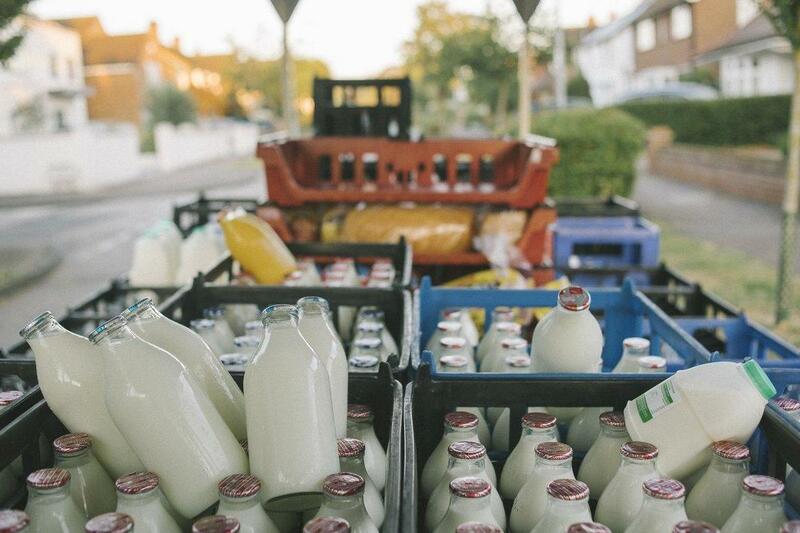 Both UK-wide company milk&more and east London dairy company Parker Dairies have seen increased demand for glass bottles in 2018. The motivating factor? They claim it’s all thanks to David Attenborough’s ‘Blue Planet II’ that took a devastating look at the effect that plastic has on our environment. Both companies have said that younger consumers and families are willing to pay more for the service in order to do right by the environment. Paul Lough, depot manager of Parker Dairies, said that they have received 382 new customers since the beginning of the year, and 95% of those customers are ordering glass milk bottles . “Before Christmas we were taking 30 calls a month, and since New Year we are getting 30 calls a week.” Lough told The Evening Standard. Both Parker Dairies and milk&more have seen huge surges in customers, with milk&more gaining 2,500 new customers in the last month and around 90% of these customers across the country are ordering the classic glass bottle . Since its creation, plastic has been replacing other storage methods because of how cheap it is to make. But with convenience comes a cost: BPA and other chemicals that leach into the contents of plastic containers. But with glass, that is no longer a problem. “Glass is made from naturally abundant materials — primarily sand — and it won’t degrade over time,” says Scott Radcliffe, a spokesman for glass-bottle manufacturer Lifefactory . Plus, “glass can last for decades,” he says. Unlike plastic, and to a lesser extent metal, glass doesn’t alter the flavor or smell of whatever it holds. If you’ve ever used a stainless steel beverage container, you know that whatever you put in there can sometimes have a bit of a metallic taste. But with glass containers this isn’t an issue. But the main draw is the fact that glass is so reusable, and this is what has brought so many people back to the old tradition of using the glass bottles. And companies like milk&more will take the empty glass bottles, replacing them with filled ones, to be reused. A glass bottle can be used up to 20 times before being recycled . It’s clear that even though we have made progress in so many fields like technology and medicine, some of the old ways are still the best. So in 2018, say goodbye to the past and plastic milk containers and hello to the future: glass.